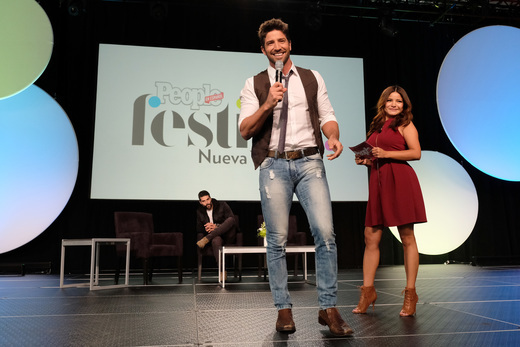 On October 15-16, People en Español hosted thousands of fans during the 5th Annual Festival People en Español at the Jacob Javits Center North Pavilion to culminate Hispanic Heritage Month and celebrate the 20th anniversary of the brand. 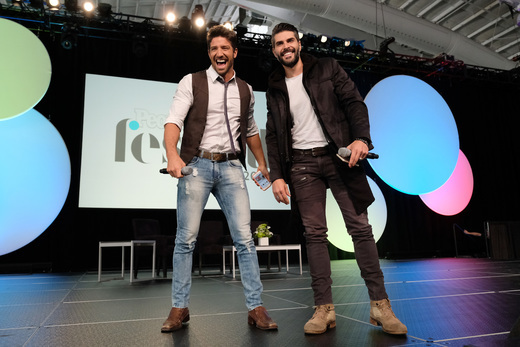 Over the course of the weekend, beloved Hispanic authors, actors and performers including Lin-Manuel Miranda, Dascha Polanco, Kate del Castillo, Chiquis Rivera, Iris Chacón and many others took to the Festival mainstage for musical performances, interactive panel discussions, meet and greets, and more. International artist Daddy Yankee was honored with People en Español’s 20th Anniversary Award, in recognition of his two decades of contributions in music. 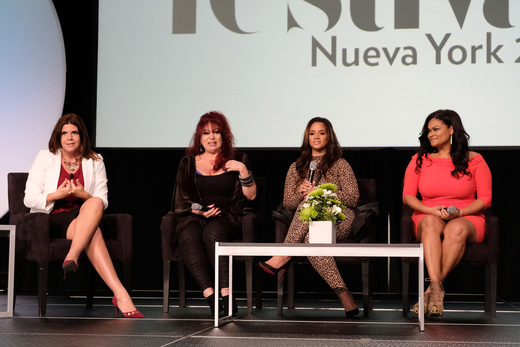 Under the theme of “ịÚnete a Nosotros!”, highlights from Festival weekend included panel discussions and sponsor presentations, such as conversations hosted by Macy’s on women’s empowerment. Voter registration and civic action were also important issues addressed throughout the weekend, most notably during a special screening of HBO Latino’s new documentary “Habla y Vota,” as well as a panel discussion by CNN en Español and Voto Latino featuring Adrienne Bailon, William Valdés and Wilmer Valderrama, moderated by CNN en Español Correspondent Juan Carlos López. Disney’s newest princess Elena of Avalor made a special appearance for her fans and Disney hosted screenings of the hit show “Elena of Avlalor” and upcoming film “Moana” throughout the weekend. Kicking off Festival weekend on Friday, October 14, in celebration of the brand's 20th Anniversary, People en Español’s Editor-in-Chief Armando Correa and Vice President, Brand Sales Director Monique Manso were joined by Bailon, Polanco and the People en Español executive team to ring the Closing Bell at the New York Stock Exchange. Can you say WEEEEEPPPPPPA!